When an Aeroflot flight attendant sued the company for discrimination, she became an unlikely champion of body image issues in a society that has traditionally proven reluctant to embrace the overweight and the obese. Yevgeniya Magurina, 41, and several of her coworkers at the Russian flag carrier said they were rotated off international flights and stripped of the cash bonuses that came with working these routes. Their offense? Wearing size L or above. Her case was ultimately dismissed in court. But all was not lost: by generating headlines, she and her colleagues turned the spotlight on body image and weight issues in Russia — topics that are rarely discussed publicly and that have not traditionally been treated as major health concerns. Despite typically being relegated to hushed conversations between friends, obesity and weight issues are a cause for concern in Russia. More than 60 percent of the country’s population is overweight, according to World Health Organization (WHO) estimates. Of those, some 20 percent are obese. The problems surrounding these figures are multiplying. Over the past 15 years, the number of people struggling with body image issues has been growing exponentially because of the stigma surrounding overweight people, says Maria Belyakova, a Moscow-based psychologist who specializes in eating disorders and body image issues. Alongside the United States, Canada, the United Kingdom, Mexico, Australia, Argentina, Saudi Arabia and all of Western Europe, the WHO describes Russia as part of a group of countries with the highest rates of obesity. Obesity in Russia is not as high as in the U.S. or Western Europe, says Dr. Joao Breda, who heads the WHO’s nutrition, physical activity and obesity program in Europe. But together with other eastern European countries, Russia is quickly catching up to the West. Obesity in Russia is on the rise for the same reasons it is everywhere else. Mealtime traditions, outdoor activities and home-cooked meals are on the decline. People move less and eat more processed and junk food. Supermarket shelves are full of sugary foods. Consumption of fruit and vegetables is low. In the absence of state recommendations, Russians’ ignorance about what they eat is harming them, says dietitian and gastroenterologist Ksenia Selezneva. Not only do unhealthy eating habits cause obesity — readily available diets either don’t work or are even more harmful. The fact that dietitians are rare in state and private clinics adds insult to injury. “When the rest of the world was figuring out what to eat in order to be healthy,” she says, “most of Russia was figuring out what to eat to survive.” Currently, more and more people are starting to care about nutrition influencing their health and turn to dietitians for help, but there is still a long way to go. A look at Russians’ physical activity is another piece of that puzzle. Only 2-3 percent of Russia’s population have gym memberships, says Olga Kiselyova, head of the World Gym fitness centers chain. The percentage is higher in cities — 12 percent in Moscow, 10 percent in St. Petersburg — and generally growing. But it’s lower than the West. “35 percent of New Yorkers have gym memberships. In Europe, the number is around 16-18 percent,” Kiselyova told The Moscow Times. For years, Russia — like most other countries — didn’t consider obesity a disease, Dr. Breda says. The country’s medical specialists simply were not trained to deal with the issue and struggled to address it. 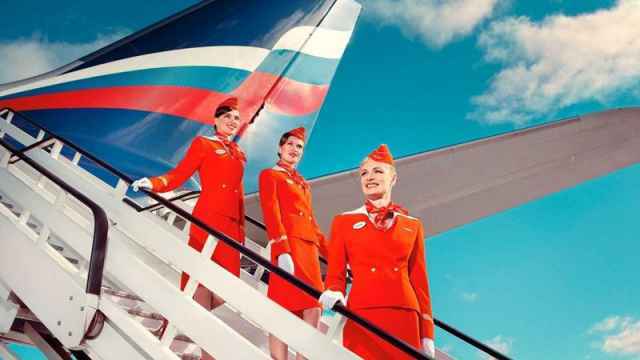 When the court dismissed the flight attendants’ discrimination lawsuit against Aeroflot, the airline issued an unsympathetic statement in its defense. Overweight flight attendants, it said, fail to properly perform their duties because they aren’t able to move swiftly throughout the airplane. The fuel needed to carry the extra weight costs the company more — 759 rubles ($13) a year per kilogram of weight above the norms set for flight attendants. Moreover, passengers prefer “young and thin” flight attendants — and Aeroflot could not ignore the “preferences of its customers,” the statement said. Body image anxiety, unlike other psychological disorders, is closely linked to mass media and its influence, says psychologist Belyakova. The advertising industry and showbusiness force an impossible and ideal body type on an increasingly self-conscious audience. Unlike in the West, where body shaming a person for being overweight, obese, or unconventional in any other way, is frowned upon, it often openly happens in Russia. This level of public discussion suggests that staying thin should be a top priority for women, overshadowing any other problems they might face. 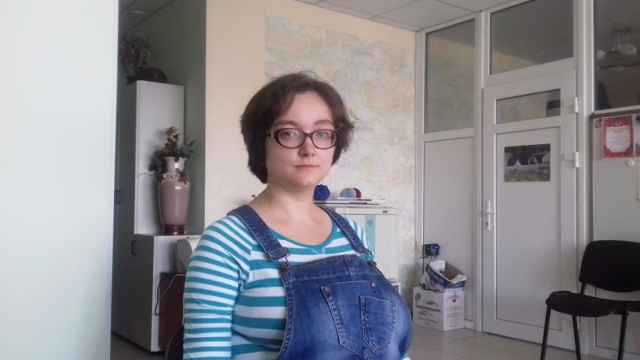 “[Society thinks] the worst thing that can happen to a woman in Russia is not being deprived of education, or marrying an alcoholic, or even the danger of violence,” says Anna Svolochova, head of Body Positive, the biggest online self-acceptance online community in Russia. 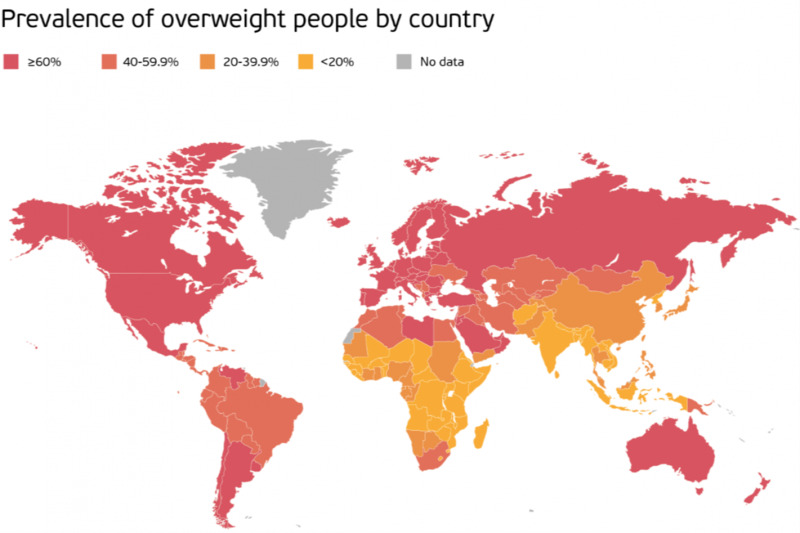 It isn’t just Russia’s obesity rates that are catching up with the West. It is pop culture is too. In 2015, Russian entertainment TV channel STS launched its version of the famous U.S. reality weight-loss show The Biggest Loser. Several similar programs began to appear on other national channels too. This isn’t such a bad thing in theory: These shows promote healthy lifestyles and encourage people to confront their weight issues. But their tone often contributes to the psychological trauma related to those issues, Svolochova says. The popular reality show, I’m Losing Weight, which aired nationwide between 2013 and 2016 often addressed participants condescendingly. “Yelena was gaining weight, quickly losing her health and hope to ever find love,” the show host would say. “Our chief dietician could turn even 100 kilograms of fat into mouthwatering female curves,” the title sequence read. An online game called Wild Burning pits overweight participants against each other, promising its winner 1 million rubles ($17,000) and a car as a reward for losing the most weight. But the rhetoric it uses to communicate with participants goes even further than that of I’m Losing Weight, bordering on rudeness. Smolny believes his peculiar tone is what makes the project different from others. In 2016, a similar project was launched by his wife Yuliya, but was much less abrasive in tone. But the couple shut it down because there was too much competition. Smolny says in the two years since it began, Wild Burning has engaged more than 100,000 players in the brutal weight loss competition. Entrance fees vary from 3,000 ($50) to 15,000 rubles ($250). Svolochova says her online community, which has been running for four years and attracts more than 68,000 members, does exactly that. Yevgeniya Magurina continues to work as a flight attendant, but mostly on Russian domestic flights. She says she has only begun her legal challenge. She may have had her case struck out in her local court, but she plans to appeal the ruling in other Russian courts. She is even prepared to take her discrimination case all the way to the European Court of Human Rights if need be.